Shop online for 13 masterbox plastic models at discounts up to 37%. 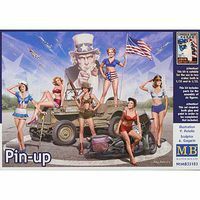 This is the 1/35 Scale Pin-Up Women Posing Plastic Figures Kit from Master Box. Suitable for Ages 14 & Older. 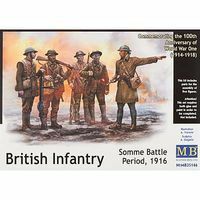 This is the 1/35 Scale British Infantry Somme Battle Period, 1916 Plastic Figures Kit from Master Box. Suitable for Ages 14 & Older. 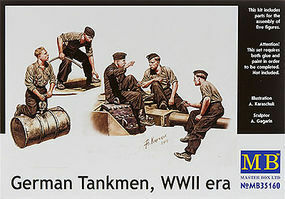 This is the 1/35 Scale German Tankmen, WWII Era Plastic Figures Kit from Master Box. Suitable for Ages 14 & Older. 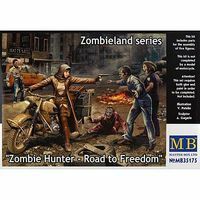 This is the 1/35 Scale Zombie Hunter- Road to Freedom Plastic Figures Kit from the Zombieland Series by Master Box. Suitable for Ages 14 & Older. This is the 1/35 Scale "Man Down!" 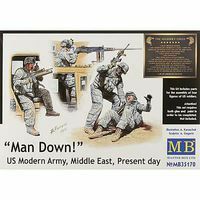 US Modern Army, Middle East, Present Day Plastic Figures Kit from Master Box. Suitable for Ages 14 & Older. 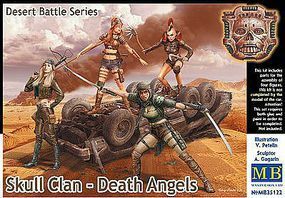 This is the 1/35 Scale Skull Clan - Death Angels Plastic Figures Kit from the Desert Battle Series by Master Box. Suitable for Ages 14 & Older. 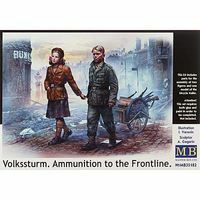 This is the 1/35 Scale Volkssturm, Ammunition to the Frontline Plastic Figures Kit from Master Box. Suitable for Ages 14 & Older. 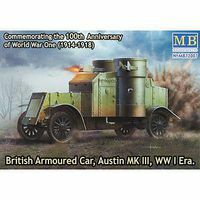 This is the 1/72 Scale British Armoured Car, Austin Mk III, WWI Era Plastic Model Kit from Master Box. Suitable for Ages 14 & Older. This is the 1/35 Scale Somewhere in the Middle East, Present Day Plastic Figures Kit from Master Box. Suitable for Ages 14 & Older. This is the 1/35 Scale German Motorcyclists, WWII Era Plastic Figures Kit from Master Box. Suitable for Ages 14 & Older. This is the 1/35 Scale German Military Bicycle, WWII Era Plastic Figures Kit from Master Box. Suitable for Ages 14 & Older. This is the 1/35 Scale "We are lucky!" Modern UK Infantrymen, Present Day Plastic Figures Kit from Master Box. Suitable for Ages 14 & Older. This is the 1/72 Scale WWI Mk II "Female British tank, Arras Battle Period 1917 Plastic Model Kit from Master Box. Suitable for Ages 14 & Older.